If you’re considering installing hardwood in your home or business, it’s time to make a visit to the best hardwood floor showroom Boulder CO offers. We offer the latest in all types of hardwood floors and finishes, and we are proud to showcase them so that you can see the various options available to you. We have over thirty years of experience working with hardwood floors, so you know that you’re partnering with experts in the field. We provide the best products and do a great job of installing all the floors we do. The work we do lasts for years to come. Additionally, our project management team makes sure that your job is started and finished on time and that you’re satisfied every step of the way. When you call us, we will come to your property and assess the situation. You may have a hardwood floor already installed that simply needs to be sanded and refinished, or perhaps you’re looking to install a wood floor, but you don’t know the right type of floor or finish to lay down. The experts we have on staff can help you decide which products would be best for your floor and your budget. Our range of flooring products is truly astounding. We offer bamboo, birch, red and white oak, maple, American and Brazilian cherry, walnut, pine, and ash. 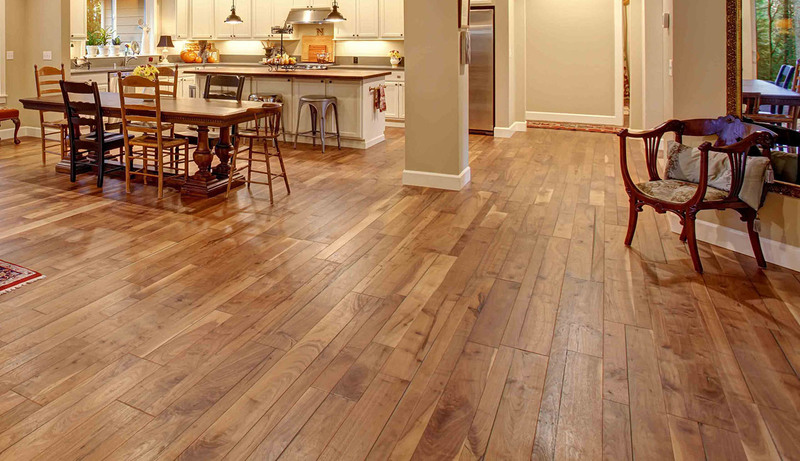 We also offer unfinished, prefinished, and engineered hardwoods. In addition to hardwood, we also offer luxury vinyl (plank and tile), laminate, cork, and oiled floors. No matter the type of flooring you’re looking for, we are sure we can help you find the right one. You’ll be pleased with our wide array of products, finishes, floors, and services to install and take care of any type of floor you choose. We can help you keep your hardwood floors looking their best over the years with services like sanding and refinishing; clean, screen, and recoat; and restoration and repair. We also offer custom staining and oil. We are very committed to our work. Our dedication to each job shows in the quality of the work we do. We are passionate about wood flooring, and we have a reputation for providing professional-quality work and service to each of our customers. We are proud of the work that we do, and our work can be seen all over the Front Range. We have served as far north as Fort Collins and all around the Denver area.